The Foundation for the Conservation of Turkey's Monuments, Environment and Tourism Assets (TAÇ) was founded by the Ministry of Culture and Tourism, Bank of Tourism and several individuals including, Lütfi Tokoğlu, Mukadder Sezgin, İlhan Evliyaoğlu, Namık Kemal Şentürk, Halit Ziya Yavuzer, Nurhan Atasoy, Orhan Alsaç, Hüsrev Tayla, Mustafa Sinan Genim, Ömer Sedad Hakkı Eldem, Yümnü Doğan Kuban, Aptullah Erdoğan Kuran, Mehmet Muhittin Güven, Hayrullah Örs, Muharrem Nuri Birgi, Emel Esin, İbrahim Seyfullah Esin, and Hayati Tabanlıoğlu in İstanbul on 19 April 1976. Turkey’s all natural and cultural assets that must be preserved against the many hazards they face constitute the foundation’s areas of interest. 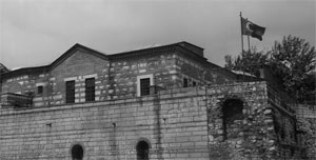 TAÇ Foundation’s purpose is to conserve the artistic and cultural assets and architectural heritage and natural, historical, cultural, aesthetic and touristic wealth of both Turkey and the Anatolian Civilization as well as any kind of related documentation; to ensure the continuity of such values as a cultural web connecting the past to the future and to establish the organizational structure required to achieve this; to coordinate the ideas and efforts of concerned persons and institutions; to carry out the necessary documentation and inventory work; to prepare or commission studies and projects; to undertake or encourage others to engage in the required efforts; to attempt to encourage new practices through sampling; to provide the structures or sites to be conserved with a healthy life by utilizing them as part of the tourism function to the extent that their condition allows; to handle all culturally significant structures and sites that must be conserved within the framework of a master work program; engage in public awareness and educational efforts as well as any kind of publication to facilitate these fit-for-purpose activities; help maintain well-trained personnel; to determine the method of the efforts to be undertaken to achieve all these goals; and to implement or encourage the implementation of all such methods. Having successfully restored numerous cultural assets that must be conserved, helped realize many implementation projects, held award competitions among both architecture and graphic arts students, published various works, and provided both undergraduate and graduate level scholarships since 1976, TAÇ Foundation is a member of Europa Nostra, which is an umbrella organization for European cultural heritage organizations.